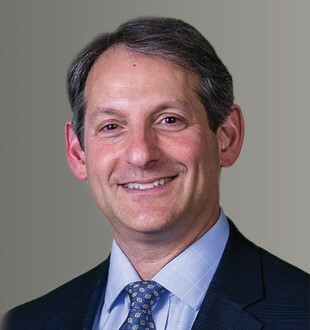 HOWARD J. CASTLEMAN is the founder of Castleman Law LLC, a litigation firm with offices in Boston and Newton, Massachusetts. Mr. Castleman represents corporations and individuals in complex litigation, with an emphasis on business disputes, probate and trust litigation, and real estate matters. In probate and trust litigation, Mr. Castleman represents individuals, banks and trust companies in matters involving fiduciary liability claims, will and trust contests, trust reformation actions, trustee removal, tax disputes, and trust accountings. Among his notable representations, Mr. Castleman won at trial and on appeal a series of fiduciary lawsuits involving, among other things, transfer of ownership interests in a major media holding company. Mr. Castleman also served as coordinating counsel for a major real estate developer in a series of partnership tax cases in US Tax Court and US Court of Federal Claims. Mr. Castleman currently serves as co-chair of the Fiduciary Litigation Committee of the Boston Bar Association, Trust & Estates Section. Among his other professional associations, Mr. Castleman previously has served on the ABA Litigation Section’s Committee on Corporate Counsel and its subcommittee on development of the Uniform Task Based Management System Codes. He has chaired national and regional conferences on controlling litigation costs through improved client collaboration, effective use of technology, strategic budgets and alternative fee arrangements. He has lectured at Massachusetts Continuing Legal Education (“MCLE”) and served on MCLE’s civil curriculum advisory committee. He is also a member of the Massachusetts and Boston Bar Associations, and is admitted to practice in federal and state courts, including Massachusetts, New York, and the United States Tax Court. For a list of representative cases, please click here. “Preventing Misuse of Trust & Estate Assets During Fiduciary Litigation," Boston Bar Association (October 2017). “The Changing Landscape: Client Expectations and the Federal Rules,” Mass. Lawyers Weekly (10/18/99).